The second installment of the World of Teddy Ruxpin video collection, which invites kids to join in Teddy Ruxpin's action-packed adventures, this video follows Teddy Ruxpin into the scary jungle without a name. 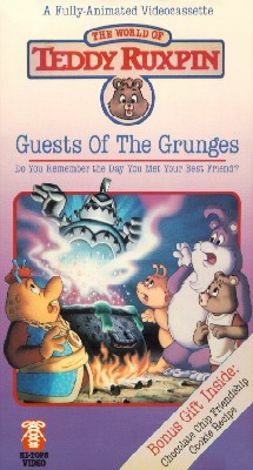 Teddy Ruxpin and his pals are frightened, to say the least, but their spirits lift when they encounter the friendly and fun-loving Grunges. Teddy Ruxpin learns to expect the unexpected.